"Not until I accepted my blindness did I begin to live." Born in 1971, in Germany, with a degenerative retinal disease, Sabriye Tenberken was blind by the age of twelve. In her early years she was able to make out faces, colors and landscapes. Determined to make normal friendships with others, she denied her blindness and tried to hide it. But she was not successful; most of her classmates often spurned and taunted her. Eventually this caused her a lot of unhappiness, so her parents sent her to a boarding school for the blind, where students were taught horseback riding, swimming, white-water rafting, Braille, and, especially, self-confidence. There, she finally was able to accept her blindness and, furthermore, to improve and use it to help other people. She majored in Central Asian studies at the University of Bonn, and was the only blind student out of 30,000 to study the Tibetan language; but, at that time, there was no Tibetan language in Braille. So she developed her own system using rhythmic spelling and translated it into Braille; she was the first to use this approach. 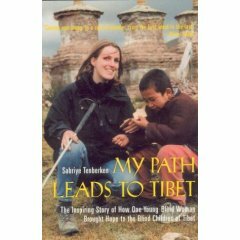 Through her research, she also learned that there was an enormous number of cases of blindness in Tibet. At 26 years old, she decided to travel through remote areas of the Tibetan countryside, where she visited rural villages, spreading the word about her Braille system and helping the blind children there to be able to receive an education. When she decided that the best way to do her mission was on horseback, there were protests from everywhere. But still, she continued her journey with three companions, two of whom were Tibetan, riding from village to village. What she found appalled her. 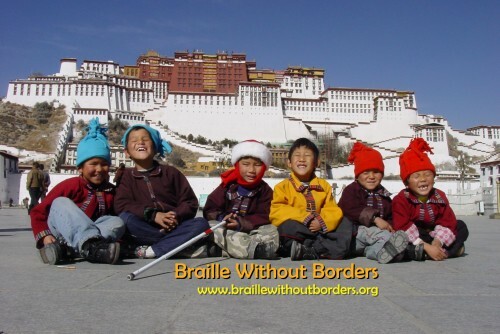 In Tibet, blind people were isolated, disrespected, sometimes beaten, abandoned, or turned out in the streets to beg. Almost all were unsociable and uneducated because blindness was thought of as a curse from bad karma. 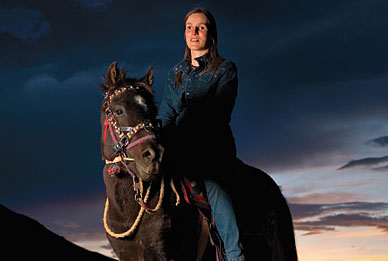 The first time villagers saw her enter their land, riding a horse, they refused to believe that she was blind. She tried to persuade them that, though blind, their children, too, could ride horses, read, and write, and it seems that she gained their trust, for one person said, "The prospect of your school is like a dream for us." I chose Sabriye Tenberken as my hero because of what she did for other people, even though she, at one point, had seemed incapable of doing so much because of her own blindness. However, she never gave up and she succeeded in overcoming her disability, using it as a power to help other blind people to become as capable as she is. In an interview, she said, smiling, "In the beginning it was horrible. But the obstacles made us stronger. People tried to put limits on me, but limits always show opportunities. I persisted because I believed it was possible." Braille Without Borders - empowers blind people in developing countries so they themselves can set up projects and schools for other blind people.